Although Rohan told us that his Adam tablet had cleared FCC testing a few weeks ago, it’s not until today, just now actually, that we’ve seen the filing go public. For our troubles the FCC has done us the solid of a full-blown teardown. And honestly, it’s not pretty. 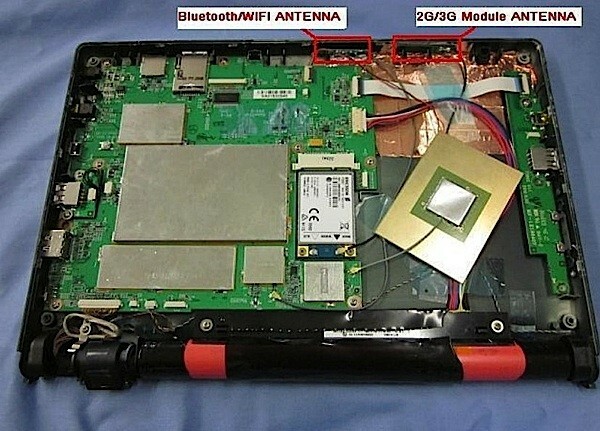 Perhaps we shouldn’t be surprised to see so many hand-soldered connections and individual strands of wire encompassing the NVIDIA Tegra T20-H-A0 application processor and embedded Ericsson F3307 HSPA broadband module — it is, after all, the tiny startup’s first mass-market device. But we’ve borne witness to many a splayings including the tidy tablet teardowns of the iPad and Galaxy Tab. As such, the Adam comes across as a bedraggled mess of suspect build quality — great for modders, less great (potentially) for the average I-just-want-it-to-work consumer. Naturally, NI doesn’t have the design or manufacturing muscle of Apple or Samsung and with the tablet having only just now shipped it’ll be months before we have a good idea about the device’s integrity. So kick back for now with a few of the more egregious components (like the swiveling camera) after the break with the rest piled up in the gallery below. Notion Ink Adam hits the FCC, torn apart in haste originally appeared on Engadget on Fri, 28 Jan 2011 05:59:00 EDT. Please see our terms for use of feeds.